If you are thinking of moving to another property or want to start a new family adventure, our real estate agency has the best solution for you: new build properties in Javea. Our first-hand homes are designed with an elegance that surprises when you see their facilities. In our newly built properties, well-being is guaranteed because our homes are adapted to the needs of the client and not the other way around. 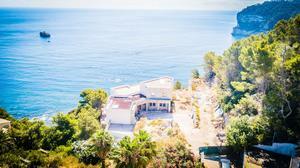 Our properties in Javea will enchant you for several reasons. One of those reasons is because they are modern and adapted to the new times. If you have always wanted to brand new a home that offers furniture details of the current era, our properties are your answer. Another reason why you will love living in Javea is because of the proximity to the sea between your property and the coast. If you have always dreamed of waking up and moving quickly to the beach in order to walk or cool off, our properties allow you to do so. Enter now to our web catalog and find the best home for your loved ones and for you. At Spanish Property Sales we want to help you improve, even more, your quality of life. What models of new build properties in Javea can you buy? In our real estate agency we analyze every detail of our clients. We study your preferences and based on that, we advise you the best housing. Therefore, in our portfolio of new build properties in Javea you can find several types of first hand homes. Among the main properties of new construction in Javea are: villas, apartments, commercial premises, fincas, penthouses, plots and townhouses. Depending on your family situation and your purposes, you will choose one property or another. In Spanish Property Sales Real Estate we are aware that buying a home is always a symptom of taking on a great responsibility. To help you take that step and be proud of having chosen our real estate, we advise you at all times. The only thing we want to do is to enjoy living in one of our new build properties in Javea.